Student loans make up the nation’s second largest consumer debt market, surpassing all other categories of consumer debt aside from mortgages. Servicers are a critical link between borrowers and lenders. They manage borrowers’ accounts, process monthly payments, and communicate directly with borrowers. The servicer is often different than the lender, and a borrower typically has no control over which company services a loan. Regrettably, widespread servicing failures are being reported by both federal and private student loan borrowers. 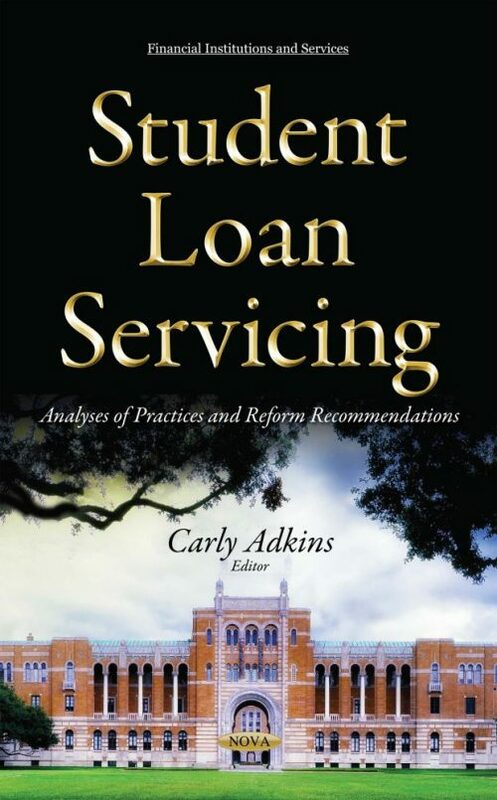 This book reviews and discusses public comments submitted in response to a request for information regarding student loan servicing by the Consumer Financial Protection Bureau. It includes recommendations for policymakers and market participants to improve borrower outcomes and reduce defaults, offering a roadmap for student loan servicing reform. This book also identifies a range of challenging issues for servicemembers with student loans.